This statistic shows the reported economic value of an organization's largest meeting to the host destination in the United States in 2017. 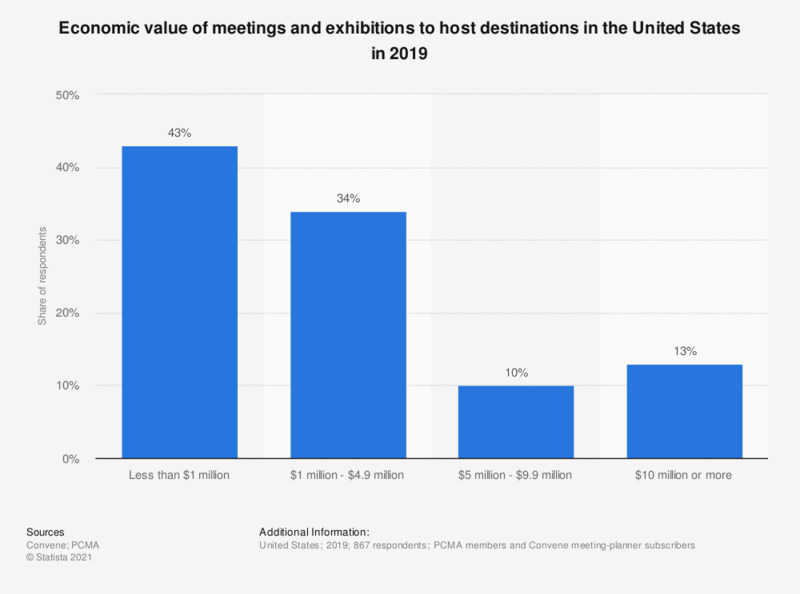 The statistic shows that 35 percent of respondents reported that their largest meeting had a value of between one and 4.9 million U.S. dollars to the meeting's host destination. Statistic does not refer to the value of all meetings and exhibitions, but only to the organization's largest meeting or exhibition.